Preheat oven to 160 degrees C (Gas Mark 3). 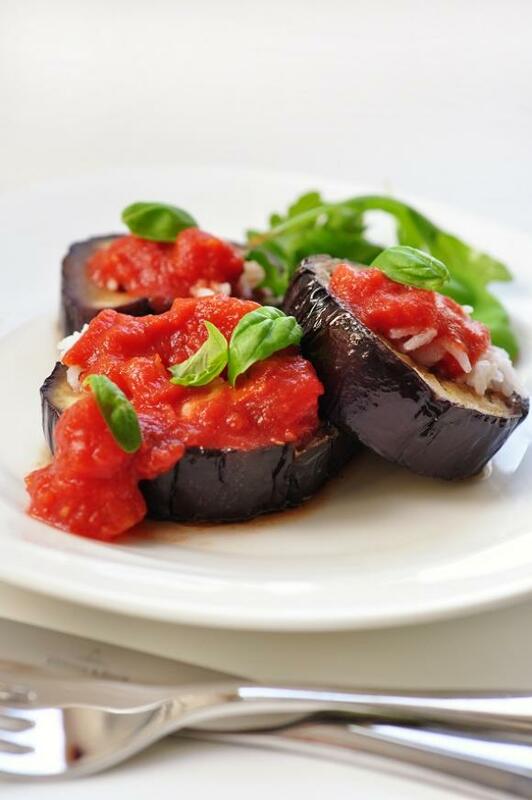 Arrange aubergine slices in a single layer in a glass baking dish that's been sprayed with nonstick spray. 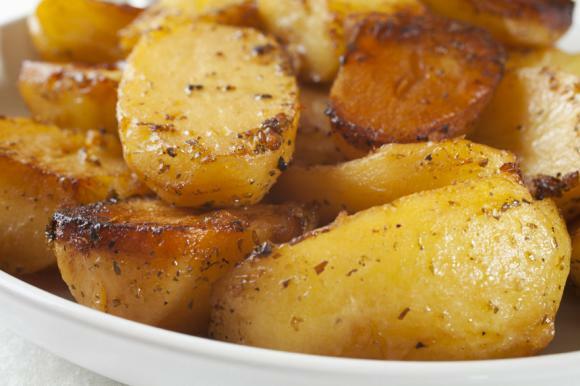 In a bowl, combine olive oil and paprika; brush mixture evenly over the tops of the slices. Pour stock into bottom of baking dish, taking care not to disturb the paprika mixture. 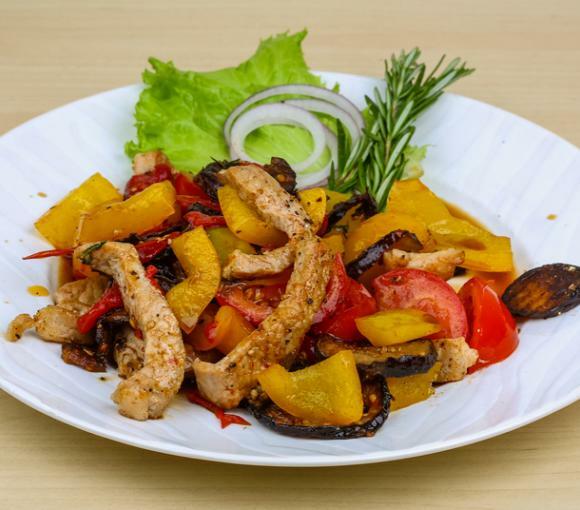 Add garlic cloves to the bottom of the baking dish and continue to bake for 15 to 20 minutes, or until the aubergine is tender and golden red in color. Place a smashed garlic clove on each slice of aubergine, along with an herb sprig.